A guide to the current consolidated list of asset freeze targets designated by the United Nations, European Union and United Kingdom, under legislation relating to current financial sanctions regimes. When people in the U.S. spend money, they are using currency that has been printed by The Department of the Treasury. When money is created by people who are not legally approved by the government to do so, it is counterfeit or imitation money. People attempt to pass counterfeit money off as the real thing in efforts to purchase goods and services. This fraudulent behavior can also be devastating to an economy by causing inflation. Inflation occurs when a country has such an overabundance of money that it begins to lose its value. This is a common tactic during periods of war. The production of counterfeit money is not a new occurrence. It has been problematic even before the Civil War and is the original reason for the formation of the Secret Service. Today the fight against counterfeit money is everyone’s responsibility. People are expected to observe the money that they handle and report any suspicions that they may have. In order to do this, it is important that people learn how to tell if money is counterfeit. When cash passes hands, most people don’t question whether or not it is authentic or counterfeit. Unless there are glaringly obvious signs that cash isn’t what it appears to be, most people take it at face value. Because the people who create counterfeit money go to great lengths to make it look like the real thing, failure to detect fake money can be costly in the long run. Fortunately it is possible to learn how to determine counterfeit money versus the real thing. To do this people must learn to look for differences. In some instances the differences are subtle while in others they may be more obvious. The feel and look of currency paper are both accurate measures of authenticity when it comes to how to tell if money is counterfeit. Currency that is real will have actual fibers that are a part of the paper. The colors of these fibers are red and blue and they are very small. Counterfeit money also appears to have these red and blue fibers, however, upon closer inspection they are not fibers at all, but they are instead printed marks. Serial numbers are also an indication that currency is fake. Genuine currency will have evenly spaced numbers that are the same color as the treasury seal. The serial numbers found on counterfeit money may be a different color and spacing may be poorly aligned or unevenly spaced. When looking at the borders of the note there should be no blurring, instead it should look crisp and clear. The same goes for the Treasury and Federal Reserve seals. If they appear blurry with edges that are uneven and points that are broken and saw-toothed, it is a counterfeit. The portrait on the bill should also meet certain standards that prove authenticity. On a genuine note the portrait will standout and the appearance will be life-like in comparison to the counterfeit which will be less distinct and blend into the background. 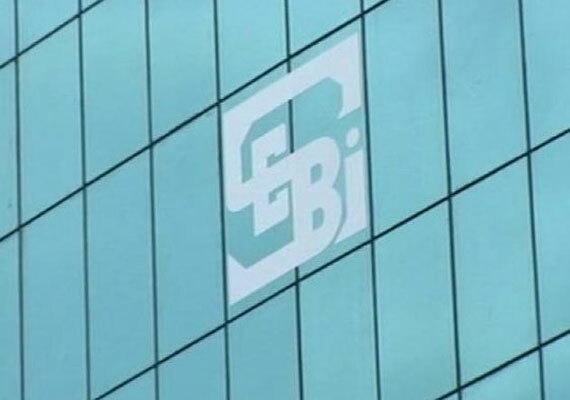 Watchdog SEBI Wednesday tightened norms aimed at countering money laundering and terror financing through the capital markets and asked market entities to conduct detailed risk assessment of their clients, including those linked to countries facing international sanctions. The market intermediaries have also been told to appoint designated directors to ensure compliance with new norms, who would face penal action for any lapses. Besides, stock exchanges have been asked to monitor the compliance of various entities through half-yearly internal audits and inspections and keep SEBI informed on these issues. The new norms have come ahead of general elections scheduled for April-May. Such periods typically see a spurt in money laundering, including through the capital markets. Norms for record-keeping by market entities have been streamlined and would require client details to be “preserved and maintained” for five years after the business relationship has ended or the account is closed. the US and UK, dominated the financial services landscape in 2012.
requirements are being adhered to at both a local and global level. internationally in mitigating their risk. In order to protect the international financial system from money laundering and terrorist financing risks, the Financial Action Task Force (FATF) issued two statements on February 14, 2014. In its February 14, 2014 public statement, FATF reaffirmed its particular and exceptional concerns about Iran’s failure to address the risk of terrorist financing and the serious threat this poses to the integrity of the international financial system. FATF also reaffirmed its concerns about the Democratic People’s Republic of Korea’s (DPRK) failure to address the significant deficiencies in its anti-money laundering and combating the financing of terrorism (AML/CFT) regime and the serious threat this poses to the integrity of the international financial system. FATF reaffirmed the call on its members to strengthen preventive measures to protect their financial sectors from such risks. Accordingly, the Financial Transactions and Reports Analysis Centre of Canada (FINTRAC) is reiterating to all reporting entities subject to the requirements of the Proceeds of Crime (Money Laundering) and Terrorist Financing Act the risks of doing business with individuals and entities based in, or connected to, Iran and the DPRK. FINTRAC is advising that reporting entities should consider the above when deciding whether to file a suspicious transaction report in respect of financial transactions emanating from, or destined to, Iran or the DPRK. Reporting entities are also encouraged to undertake enhanced customer due diligence with respect to clients and beneficiaries involved in such transactions.